Kuksite: Mineral information, data and localities. Named in honour of A.I. Kuks (1906–), a discoverer of the Kuranakh deposit. Forms a solid solution (and is isostructural) with joëlbruggerite and dugganite. Kettnerite 1 photo of Kuksite associated with Kettnerite on mindat.org. 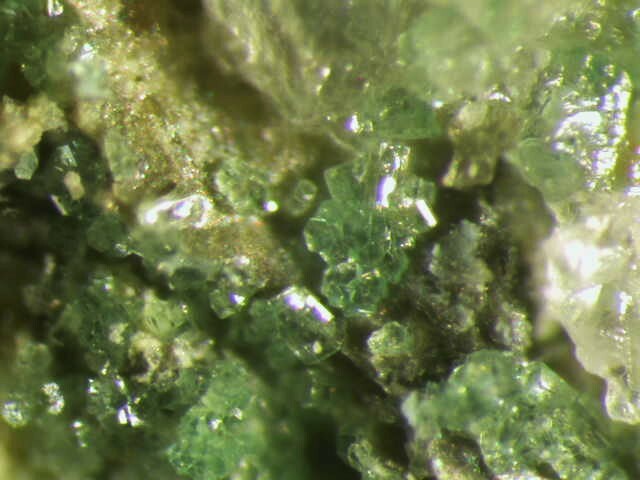 American Mineralogist (1992): 77: 446. 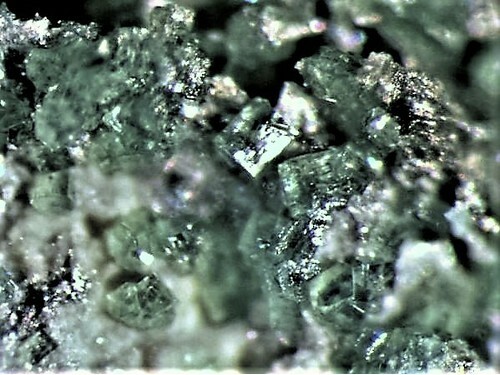 Zapiski Vserossiyskogo Mineralogicheskogo Obshchestva: 119(5): 50-57. S. J. Mills, L. A. Groat and U. Kolitsch (2008): Te, Sb and W mineralization at the Black Pine mine, Montana. Poster, 18th Annual V. M. Goldschmidt Conference, Vancouver, Canada, July 13-18, 2008; abstract in Geochim. Cosmochim. Acta 72, Special Supplement 12S, A632. Collected by Al Wilkins. EDS analyzed by Robert Housley. Collected by Al Wilkins. SEM EDS analyzed by Bob Housley. SEM EDS analysis by Bob Housley and XRD confirmed. 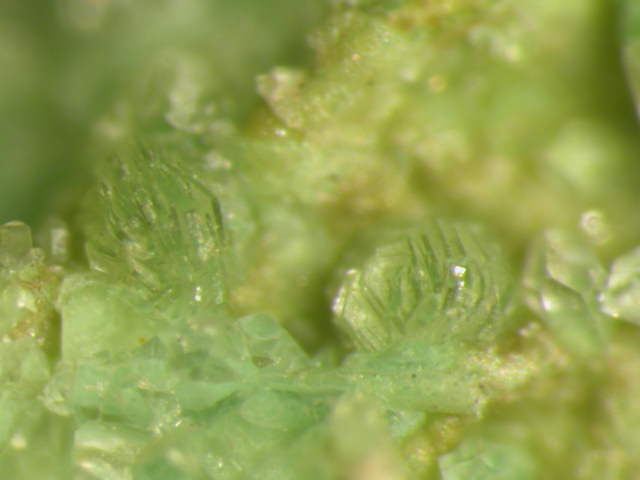 ; American Mineralogist, Volume 94, pages 1198–1204, 2009; Mills, S. J., Kampf, A. R., Kolitsch, U., Housley, R. M. & Raudsepp, M. (2010) The crystal chemistry and crystal structure of kuksite, Pb3Zn3Te6+P2O14, and a note on the crystal structure of yafsoanite, (Ca,Pb)3Zn(TeO6)2. American Mineralogist, 95(7), 933–938.